Today just about every new vehicle has a transponder in the head of the key. Making it harder to get your key duplicated requiring you to take it to your local locksmith or dealer. The upside to the transponder system is that automotive thefts have decreased.The downside is that the keys are more costly than a standard key to duplicate. 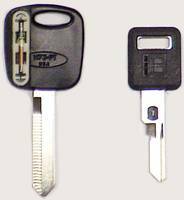 The general cost of a duplication of a transponder key can vary and be very expensive depending on the year make and module. 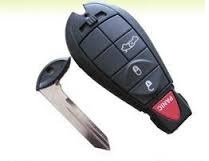 This anti-theft technology uses a miniature transponder which is embedded in the plastic portion of the head.When the key is inserted into the ignition a radio frequency (RF) is transmitted to the key. This in turn energizes the transponder which replies with and ID number. If the ID matches the on board computer the ignition and starting system is enabled. If access is attempted without the correct code, critical systems (fuel injection, ignition, etc.) remains inoperable. 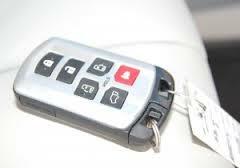 To find out if you have a transponder key , and if it is possible to duplicate, ask one of our locksmith technician. Make sure to know the year make and model of your vechicle when asking. Copyright 2009 Centerville Locksmith. All rights reserved.